Upward Bound is a federally funded grant program designed to prepare first-generation, low-income high school students for college. Upward Bound aims to increase the college enrollment and degree completion among program participants. 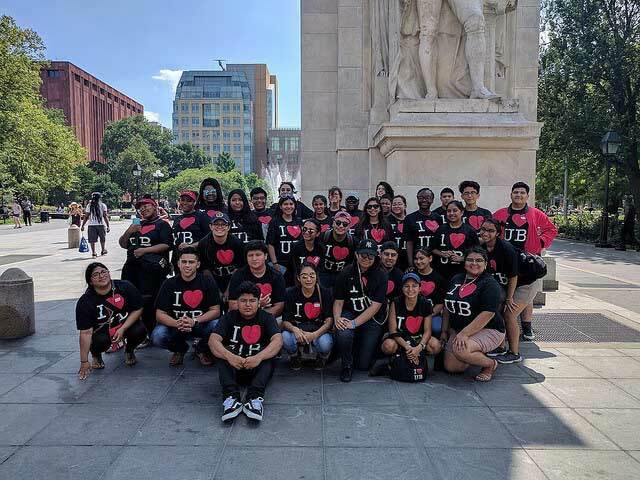 Upward Bound participants receive academic advising, standardized test preparation, supplemental instruction, scholarship and financial aid assistance, financial literacy training, and college campus tours. Through participation in after-school tutorials and a six-week summer program on the Lone Star College-North Harris campus, students build academic skills and improve scholastic performance. Students also participate in cultural enrichment activities and community service events. Additionally, Upward Bound offers developmental workshops in college success skills such as time management, study skills, and career exploration. The Lone Star College - North Harris Upward Bound has served students from the Aldine Independent School District since 1999. We currently serve 67 students from MacArthur High School and Nimitz High School and 58 students from Aldine High School and Eisenhower High School. A total of 125 students are provided services through Lone Star College-North Harris Upward Bound.